A little over thirteen years ago, I met and fell in love with my best friend. Five years ago, I married her. We chose the eighth of November as a symbol of the last eight years we spent falling head over heels for each other. The sun set that evening leaving behind the glow of luminaries lighting a path in the churchyard; a path welcoming friends and family inside to witness the love between Allison and I, to share in the light we found in one another. I stepped up to the altar and glanced around the small church lit only by candles and held my breath until the double doors at the back of the sanctuary parted ways… the most beautiful woman I had ever seen stepped forward and the breath I had been holding was lost. 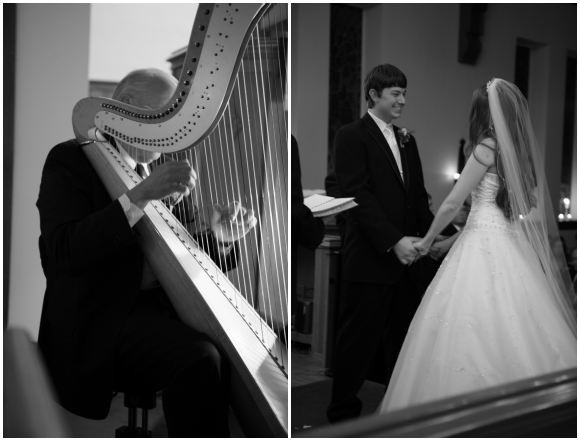 A harp played as I watched Allison make her way down the aisle. I heard the plucked chords dance and echo around the wooden beams until they hid in the curvature of the ceiling arches. 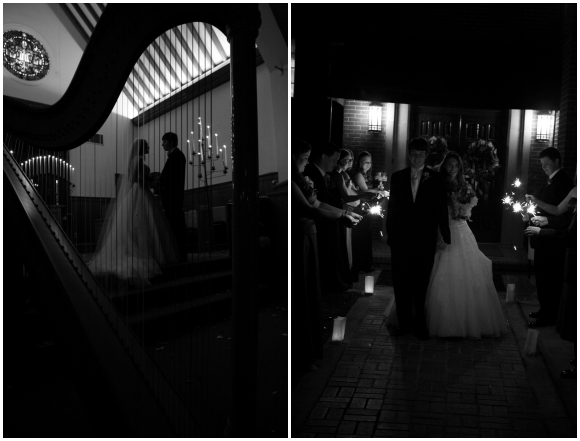 I watched as my bride walked towards me in a dress constructed of childhood dreams garnished with crystals, catching the candlelight and my eye with every step. We exchanged rings and the vows we wrote. 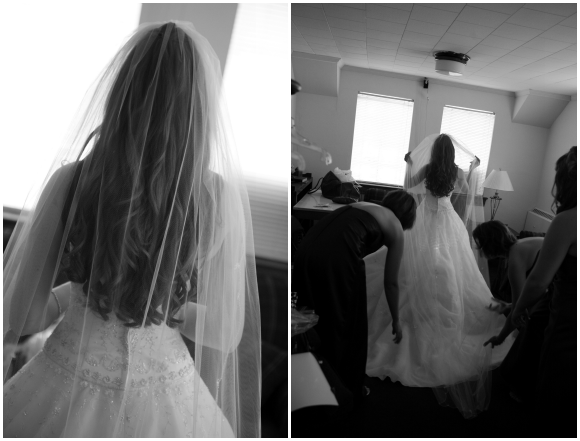 "...I promise to grow old with you just as I've grown up with you..."
I said "I do". Then she did, too. We promised forever. I took her hand while she took my name. I couldn’t have asked for a better partner to share this journey with. 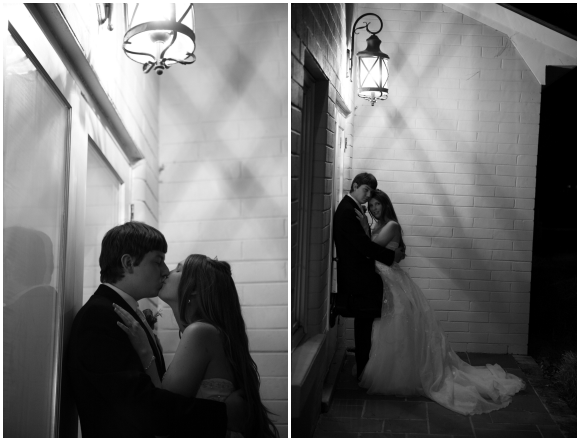 Happy Anniversary, Allison. I'm lucky to have you. 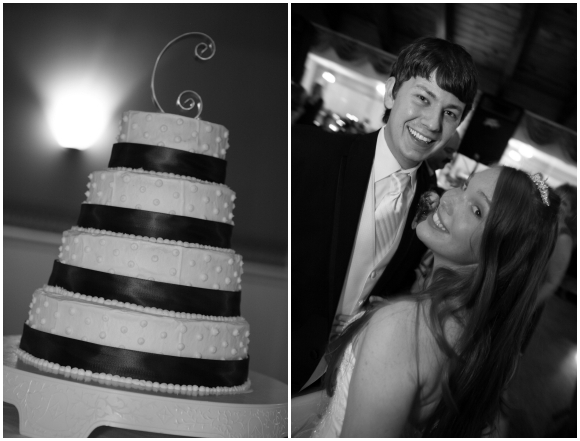 Images captured by the talented Bobby Davis courtesy of Bobby Davis Photography.